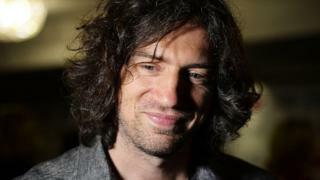 Gary Lightbody battled depression and alcoholism as Snow Patrol wrote their seventh album, Wildness. The band’s frontman tells the BBC about overcoming his demons, how Nick Cave helped him conquer writer’s block, and why he and Ed Sheeran want matching tattoos. Seven years. 2,555 days. That’s how long it took Snow Patrol to make their new album. In the same time, you could have trained to be a doctor, launched a spacecraft to Saturn or filmed six series of Game of Thrones. But Gary Lightbody was engaged in a much more serious pursuit – conquering a life-threatening addiction to alcohol. “I was relying on booze to get me through the day, every day” he recalls. “I’d started drinking on my own when I couldn’t find anybody to go out with. The fun element disappeared pretty rapidly, and I was just doing it out of compulsion. Crucially, it affected his ability to write and perform. “Some people write well on booze. I didn’t ever,” he says. “I’d only ever cough up hairballs. 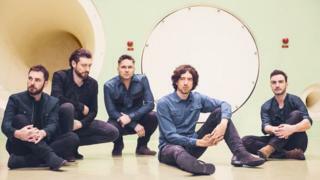 While his Snow Patrol bandmate Johnny McDaid was off writing hits with Ed Sheeran and Rudimental, Lightbody’s condition worsened. Things reached crisis point in June 2016, when he was diagnosed with infections in his sinuses, eyes and ears – a result of sustained alcohol abuse. A doctor told him he had to stop drinking or he’d die – so he resolved to give it up for a month. Two years later, the 41-year-old is still sober. But it hasn’t been easy. Getting clean forced him to focus on his mental health, triggering a “wave of self-hatred” that further exacerbated his inability to write. The breakthrough finally came when he heard Nick Cave’s harrowing album Skeleton Tree, recorded in the aftermath of his teenage son’s death. “The first track on it is called Jesus Alone,” says Lightbody. “It’s a very intense piece of music about a very dark thing that happened to him, and I think I listened to it 10 times in a row. Our producer, Garrett Jacknife Lee, put it on in the studio and I just kept saying, ‘again, again’. “Garrett went to get some lunch and when he came back half an hour later, I’d written A Youth Written In Fire, start to finish. After that, the songs came flooding out, and the story of the last seven years is written in their titles: Heal Me, Don’t Give In, What If This Is All The Love You Ever Get? “I realised I can’t pull back any more. These things I’m so afraid of? I have to start writing about them,” says Lightbody. Having unlocked his creativity, Lightbody was determined to push himself musically. The result is Wildness, Snow Patrol’s most musically daring album since their 2003 breakthrough, Final Straw. The fantastic first track, Life On Earth, opens quietly but builds to a triumphant chorus, while the carefree Wild Horses surges forward on a supple guitar loop. Lightbody pushes his voice into new territories – even surprising himself with the fractured, falsetto rasp he produced on the first single, Don’t Give In. “It is at the very, very top of my range and it’s a supreme effort to sing it every night,” he says. Initially, Lightbody planned to re-record those snot-infused vocals, but then his goddaughter Esme got wind of the plan. “She came in and went, ‘Don’t you dare! '” he recalls. Lightbody’s family shaped the album in a much more personal way on Soon, a heartbreaking message to Lightbody’s father, who is suffering from dementia. It’s accompanied by a tender video in which father and son sit together and watch old home movies, an experience that was as moving to film as it is to watch. He continues: “His condition, of course, is devastating but within it, there are these moments of humour. Like a lot of the songs on Wildness, Soon offers hope and acceptance in the place of melancholy and self-pity. It’s no surprise to learn the Lightbody family motto, displayed proudly on the walls of the singer’s childhood home, is Clarior E Tenebris – light after the dark. “That motto definitely sunk in,” says the star. “I thought about it a lot, even in the times when I did not feel there was going to be brightness after the darkness. Later this summer, the band will get to play the songs in stadiums across the US, where they’re supporting Ed Sheeran on his gargantuan ÷ tour. The ginger wonder is repaying a favour, after Snow Patrol took him out on tour at the start of his career – although there might be some tension over an unfulfilled promise. “And then Ed went and got [Bon Iver frontman] Justin Vernon to write it down. He sent it to me and said, ‘I’m getting this done as a tattoo tomorrow, go and get yours done, too’. But I chickened out. In the seven years since then, Ed has become one of the world’s most popular stars – but he still has some way to go before he can beat the success of Snow Patrol’s biggest song, Chasing Cars, which has spent 166 weeks on the UK chart. That makes it the second most successful song of the 2000s, after The Killers’ Mr Brightside. “I didn’t know that stat,” marvels Lightbody. “I’m pretty flabbergasted by it. “I still have a really deep relationship to that song. The way it unifies an audience is the thing I most cherish about it. The singer once declared that the best song ever written in Northern Ireland was The Teddy Bears Picnic… But based on its chart performance, I wonder whether Chasing Cars can rightfully claim the title? “Bloody hell! Did I really say that?” laughs Lightbody. “No. The greatest song ever written in Northern Ireland is Teenage Kicks. Or about 25 Van Morrison songs. 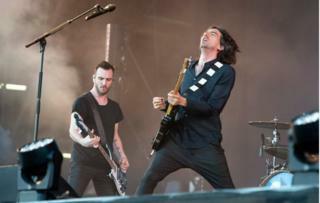 Snow Patrol’s new single Empress is out now.